Last week I shared some great kids’ books with you. This week, how about a little something for yourself? I don’t know about your weather, but here where I am, things have gotten a little chilly! What better time to curl up with a book and a nice warm cup of hot chocolate? Here are two books I’ve read recently that I can recommend. Although this wasn’t a book that my book club read, it seemed that members of my book club were talking about it a lot. So I picked up a copy and read it. It definitely had me laughing out loud several times. 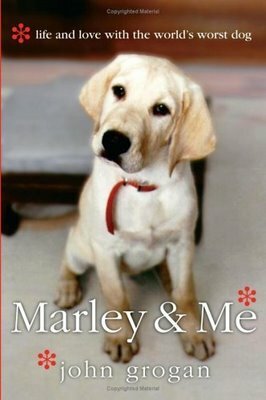 The book talks about the family pet, a yellow lab named Marley. What surprised me (in a good way) is that it also talks a lot about building the family itself. Because I’m pregnant right now, I really can’t get enough of reading about other people’s pregnancies. Except that they go by WAY faster in the book than my actual pregnancy is going by… As I would read excerpts to my husband, and as the excerpts would be dealing with family (or with murder), Mike kept asking, “I thought this book was about a dog. How much of the book actually talks about the dog?” Well, Marley is of course what carries the book along, but more than just a book about a dog, this is a book about a family. I definitely recommend it for a quick, entertaining read. Girls from my book club report that you don’t have to be a dog lover to enjoy the book. 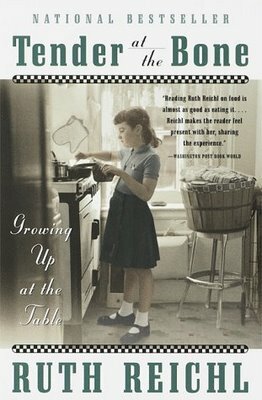 I read this book several years ago and recommended it for my book club in September, mainly because Ruth Reichl, a food critic, shares the story of her life and includes great recipes throughout the book. Since my book club always has a food theme, I thought it would be pretty easy to just have everyone prepare a recipe from the book. At book club, we all seemed to agree that the first half of the book is better and more entertaining than the second half, but I think we all felt it was still worth reading. She does have a lot of great, interesting stories. If you’re looking for meal ideas or food inspiration, give this book a try! I’m looking for other great books to read over the next little while. What recommendations do you have? I think YA books are my comfort reads. I recommend Goose Girl, a year down yonder, schooled, and love that dog. I just read Tending Roses by Lisa Wingate. It was definitely a book I recommend.